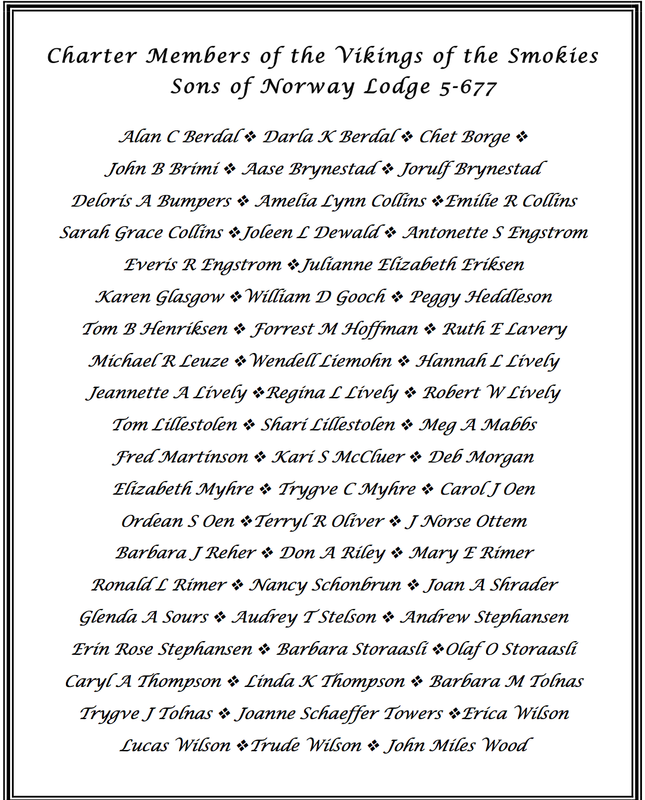 The Sons of Norway Lodge 5-677 “Vikings of the Smokies” was the first lodge to be created in the state of Tennessee. The Lodge was organized through the dedicated efforts of longtime SON member Arlene Christopherson, who moved to East Tennessee after being involved in lodges in Illinois and Arizona. The Vikings of the Smokies Lodge was was chartered on May 3rd, 2008 with 59 Charter Members. An annually elected Board of Directors are responsible for the management and activities of the lodge, under the guidelines and bylaws of the Sons of Norway.